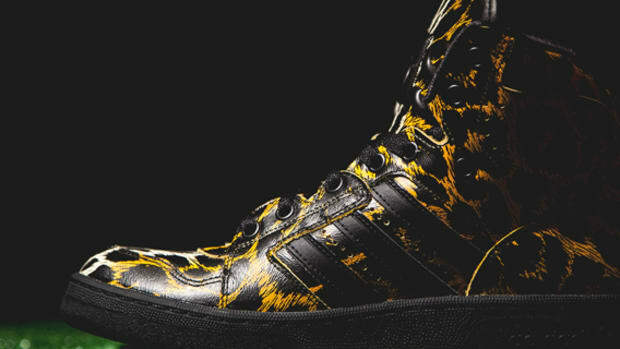 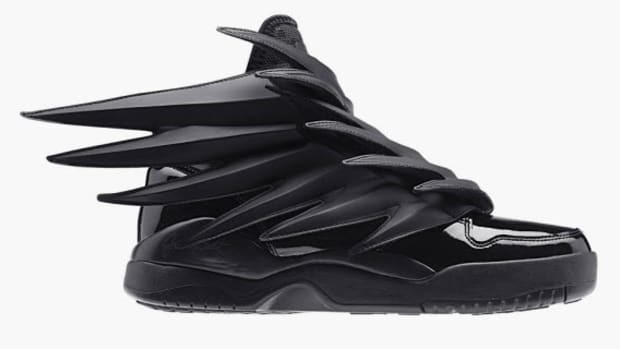 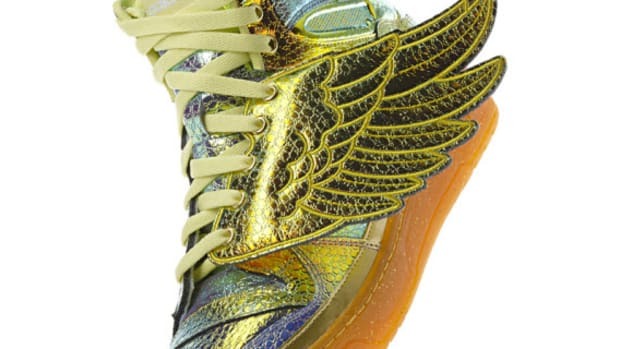 adidas Originals By Jeremy Scott - JS Instinct Hi "Union Jack"
Joining his eye-catching all-gold-everything Foil Wing, Jeremy Scott is also dropping another bold sneaker with the help of adidas Originals: the JS Instinct Hi "Union Jack." 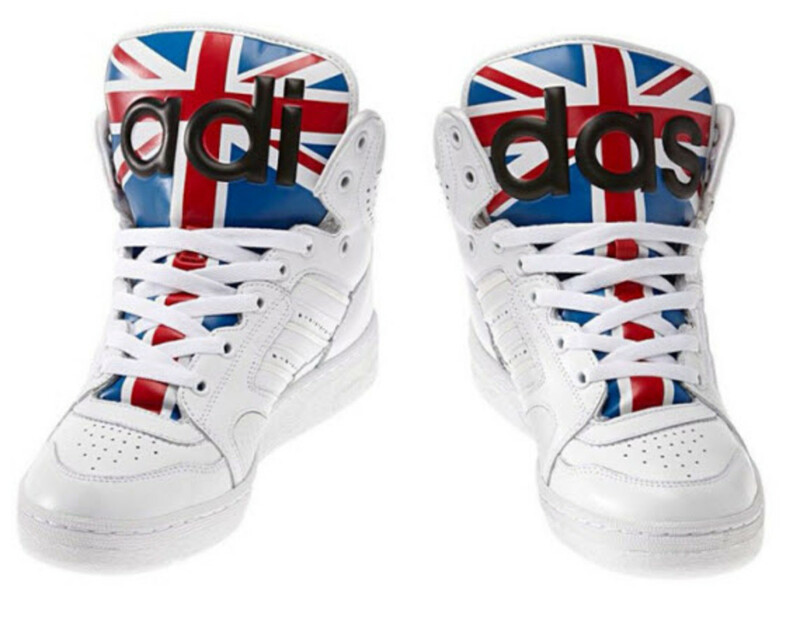 Aptly named due to its Union Jack-emblazoned extended tongue, the rest of the shoe is equally worth some attention, including the detailing with the perforated holes at the midfoot branding, the ankle pad, and the toe as well as the adidas Originals&apos; TreFoil at the heel. 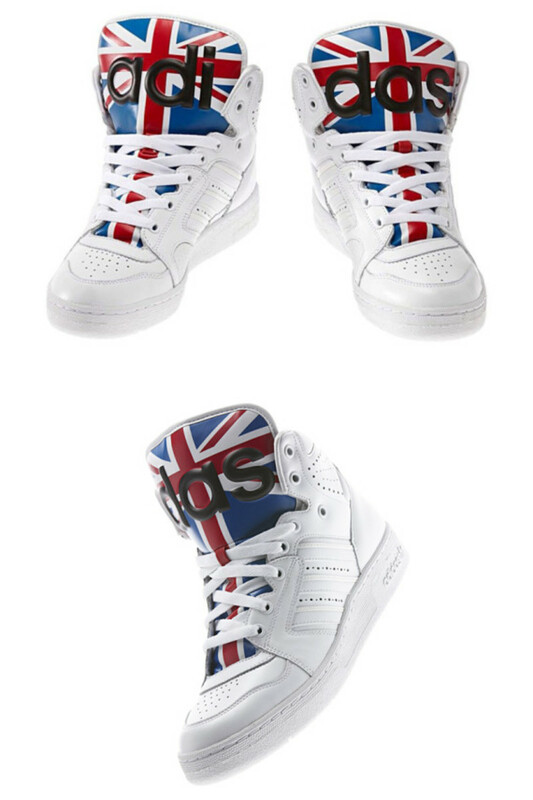 Smooth white leather is a nice contrast to the red, blue, and white of the Union Jack while a white rubber outsole finishes the look of the iconic Instinct High-top silhouette. 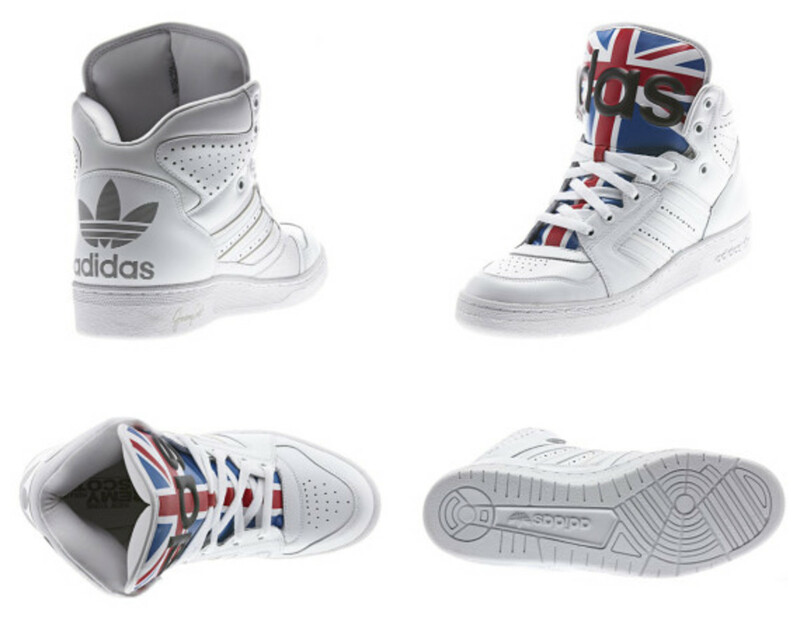 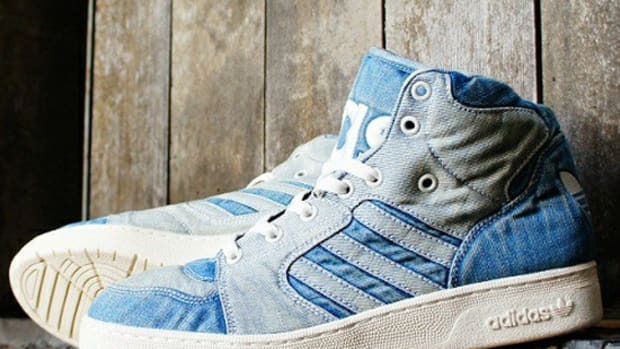 The adidas Originals by Jeremy Scott Instinct Hi "Union Jack" is available now for ¥27,300 JPY (approx. 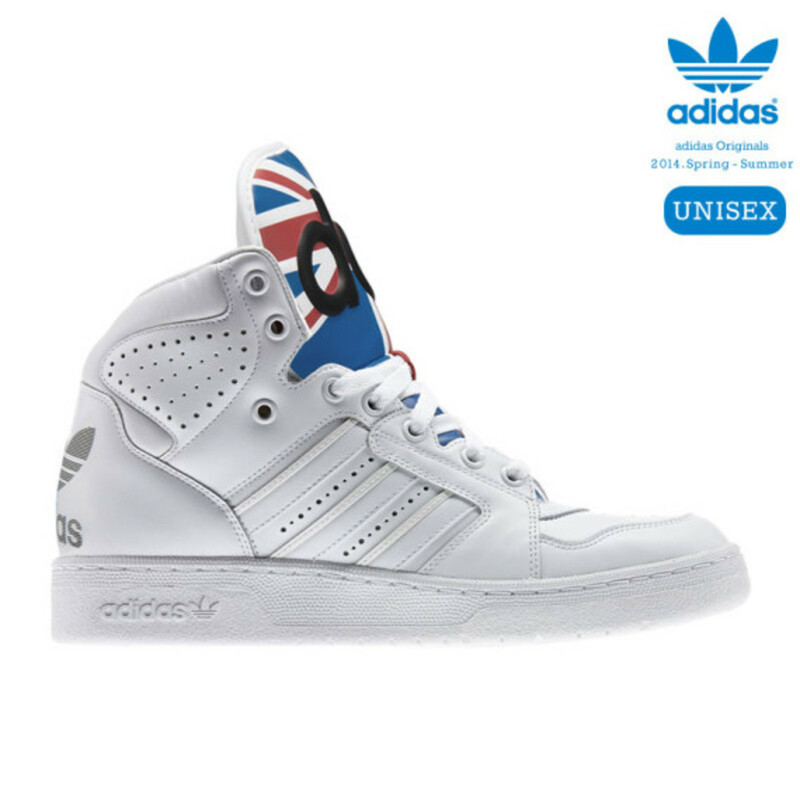 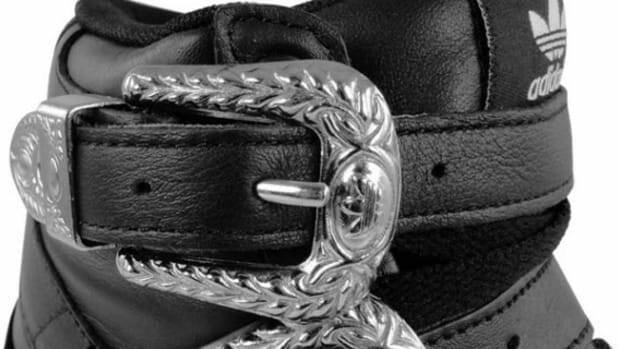 $270 USD) at select stockists including Kinetics. 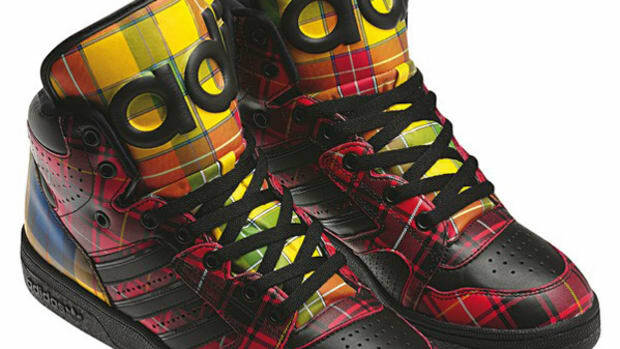 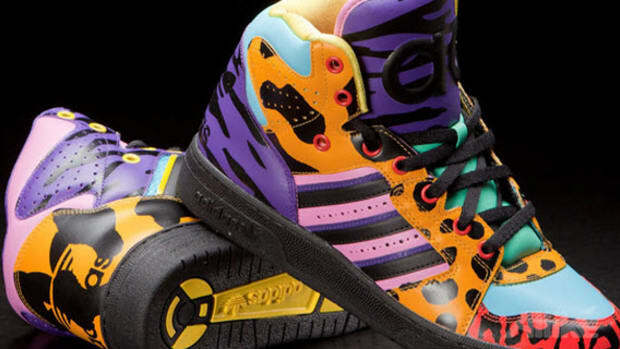 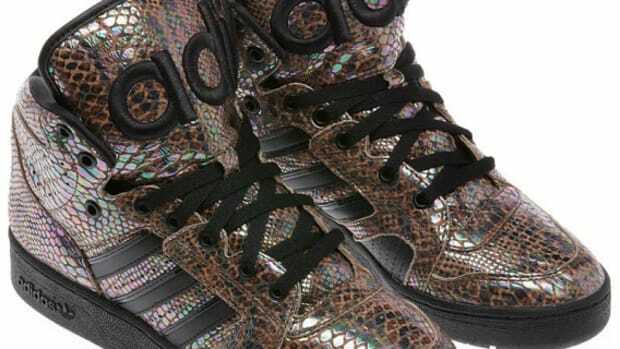 adidas Originals by Jeremy Scott - JS Instinct Hi "Tartan"
adidas Originals by Jeremy Scott Instinct Hi "Leopard"